The danger of picking up this book – delightfully – is that you’ll be tempted to put your life on hold until you’ve read every word. You’ll take the day off work, you’ll eat only food that you can grab from the fridge (no time to make a sandwich), you’ll turn off your phone. You might not even realise it at first. Oh, you’ll be interested when you first begin to read about fifteen year old Holly and her turbulent teenage life, but you won’t realise how much you’ll be drawn into this novel. You won’t know just how much you are going to be pulled in and what’s in store for you. You’re going on a journey. You’ll be travelling the world but back in time too – and to the future. And to …. well you’ll see. This is a saga in six parts – all set in different eras -all taking us through Holly’s extraordinary life. It taught me that I should keep an open mind about my reading matter. I received a review copy here at JAQUO HQ quite some time ago but it didn’t simply seem like my cup of tea. Why not? Well, I read the inner sleeve which said ‘Holly is a lightening rod for psychic phenomena. Oh no, not psychic nonsense. Then I flipped through the book. I see ‘the Chapel of Dusk’, Horology’s War with the Anchorites’, ‘the Blind Cathar’. I see words such as ‘chakra’, ‘shield’ and ‘psychovoltage’. I see characters with names like ‘Unalaq’, ‘Xi Lo’ and ‘Marinus’. This is starting to look a little fantasy-other-world-y to me. Sure, I loved Lord of the Rings – when I was fifteen. I’ve never felt the need to re-read it as an adult. And as for books like Julian May’s The Golden Torq – well, I would have thrown it out of the window had I not been on an aeroplane at the time. 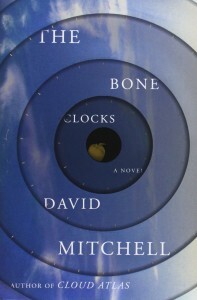 So The Bone Clocks moved slowly to the bottom on the review pile. I was so wrong. 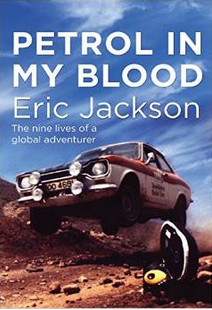 Without a doubt this book is certainly in my top five if-I-was-stranded-on-a-desert-island book list. I know I’m going to read it again and soon. In fact, I know I’m going to be reading it regularly for years. It isn’t just ‘a book’. It’s witty, elegant and entertaining. Then there are the thought-provoking elements, the beautifully created characters and a plot that just knocks your socks off. It does sound like it covers a lot of ground! You’ve convince me to read it, and luckily I found it on Audible too. So into the cart it goes. Intriguing review, especially knowing it made your TOP list!